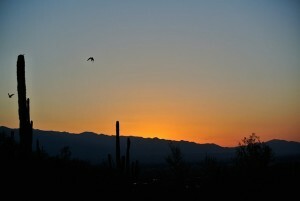 There might be a number of different reasons why you need to sell your Tucson, AZ house fast. Whatever is motivating you to sell your house at this time, we’re here to help you get through it through our local Tucson, AZ house buying program where we can buy your house for cash here at Karl Buys Houses/Russ Lyon Sotheby's International. There are lots of reasons local Tucson home owners decide to work with me. Imagine this scenario for a second to show you just one way I can help local home owners get out from under a house quickly. She had recently lost her husband to cancer, and he didn’t have any sort of insurance protection. No health Insurance, No Life Insurance. With so many bills to pay, this lady, whom I’ll call “Betty” decided to make some serious changes where she could. Through our local “Cash For Houses” program, my company Karl Buys Houses/Russ Lyon Sotheby's International, can make you a fair all cash offer on your AZ house. With the example above, “Betty” can get her house sold in as little as 7 days, all cash (I don’t need to wait for bank approval… I buy houses with cash and can close fast). We buy houses for cash in Tucson, AZ and surrounding areas and would love to make you a fair no-obligation offer on your house. We Buy Houses Tucson Review! Need To Sell Your Tucson Area House Fast? Get Your Fair Cash Offer Below Or 520-403-6227 Today! Selling your home can be a daunting process, but it doesn’t have to be. When you’re ready to sell, just know that we can buy your house for cash in Tucson, AZ. If selling your house the traditional route just isn’t working for you or isn’t an option… give Karl Buys Houses/Russ Lyon Sotheby's International a call at 520-403-6227 and I’ll evaluate your situation and make you a fair offer no matter the condition of your house.